The ultimate in Spa Massages assembled by our highly experienced spa team. 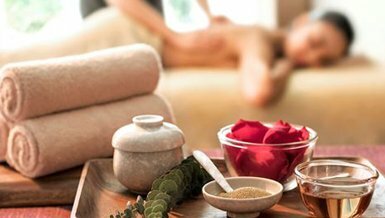 Our massages are the perfect antidote to the stresses of life. All massages are carried out on our luxurious heated beds, using a luxury range of massage oils specially chosen and formulated to help you relax, unwind and rebalance in tranquil comfort. Lavender House is a Paul Mitchell Professional Salon with a fully qualified and highly experienced hair stylist. From advising you on the latest trends and what would complement your facial shape to affording you the opportunity to simply sit and relax with a tea or coffee we want your experience with us to be perfect each and every time. 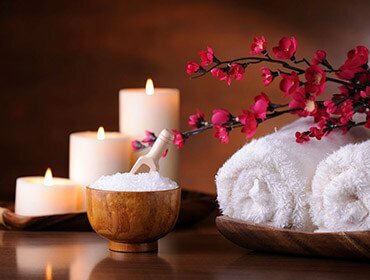 We offer supremely comfortable and luxurious treatment rooms together with a wide selection of relaxing therapies to pamper you. We offer your essential every day must haves including manicures, pedicures, facials, massages, body treatments, holistic therapies, waxing and spray tans. 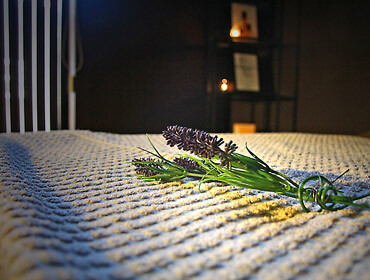 Give the Gift of Relaxation to someone special with a Lavender House Gift Certificate. Our Gift Certificates are available for any amount and can be redeemed against any services or products available at Lavender House. 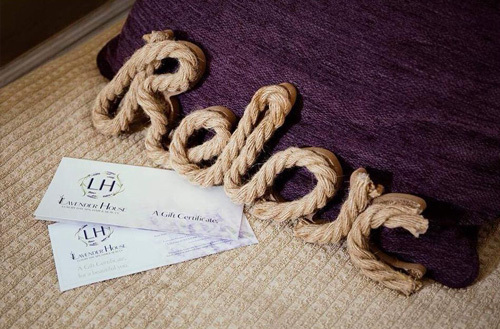 Gift Certificates can be bought directly from the Spa if you live locally or simply call us on 01704 531400 - payment can then be taken over the telephone and the Gift Certificate can either be posted out or sent via email. All Lavender House Gift Certificates are valid for 12 months from the date of purchase. 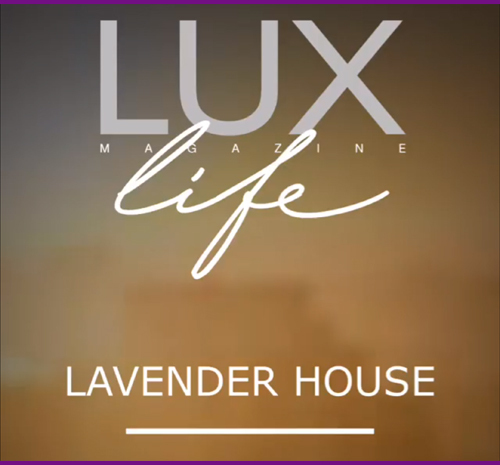 Lavender House Day Spa - Luxurious Relaxation! Lavender House offers the ultimate relaxation experience - from our luxury Day Spa facilities and creative Nail Bar to our top quality Beauty Treatments! Situated at the head of Lord Street in Southport, this haven of calm and tranquillity offers not only a delightful Spa Experience, but also a Paul Mitchell Professional Hair Salon within an elegant venue to meet and be pampered. Our top quality Thermal Suite is one of the best in Southport and includes a Herbal Sauna, Salt Inhalation / Aromatherapy Steam Room and our highly recommended Exotic Rasul Mud Temple! To complement our thermal therapies we offer a range of excellent quality essential beauty treatments including Caudalie Facials, massages, body treatments, holistic therapies, Lycon waxing, CND manicures and pedicures together with numerous finishing touches including CND Shellac and CND Vinylux nails and Fake Bake and Moroccan Tan Spray tans. We also offer free car parking to all our customers when visiting us. 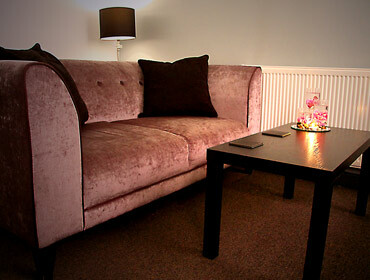 All Lavender House staff strive to offer the best service possible to our clients at all times. Online booking is available for many of our services or simply call us now on 01704 531400. Our holistic therapies work on the principle of treating the whole person, the mind, body, emotions and spirit.. Read more..
We offer an extensive selection of speciality facial treatments using scientifically formulated ingredients.. Read more..
Our Lycon Wax™ uses the finest ingredients - short hair removal, no sticky residue and virtually pain free.. Read more..
Visit our reviews by clicking on the menu at the top of this page. We also would love you to submit a review about your own experience of our treatments and services. With an unrivaled range of luxury spa treatments Lavender House is without doubt Southport's favourite way to relax! Luxury facials, eye care and head massages - all designed to help you relax and look your best. Enjoy a hot drink and the use of our warm and comfortable Relaxation Lounge after your Luxury Spa treatments. Our warm and friendly staff are ready to take your call and help you choose your treatments. On-Trend Hair Styles for every hair type using top quality professional styling products by Paul Mitchell. Our newly refurbished premises have been professionally designed to create holistic and cosy spaces to fully complement your treatments. Our superb male and female body massages are highly recommended by our previous clients. Amazing classic and modern hair styling with unique passion and flair by our salon professionals. To help you fully relax use our free car park when visiting us for treatments (subject to availability). All our fantastic Spa Packages include the use of our freshly laundered towels and dressing gowns. Ensuring your comfort and total relaxation. A small selection of our ★★★★★ feedback and reviews from Trip Advisor, Facebook and MyLocalSalon. A very friendly and relaxing oasis! Visited Lavender House with a gift voucher for my birthday. I was not disappointed and will definitely return. 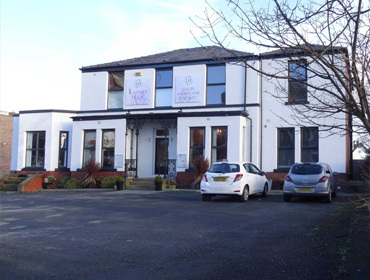 1st time at Lavender House - cannot fault the experience from greeting to body massage treatment, staff are lovely and friendly, very relaxing - would highly recommend to anyone! Have been a few times before, and each time has been just as good as the last- and this time was even better! Booked in for facial and Indian head massage - so amazing. (Mum and sis in law had neck back and shoulder & facials - and also got a complimentary mud treatment!) The food (sandwiches and scones; including gluten free!) & Prosecco was served in the 'quiet room' after the treatments which was perfect as we were able to relax in the robes and just take our time to enjoy them. The only downside to this place is that I can't stay over!! Staff are always so friendly, chatty and can't do enough to make you feel relaxed. Looking forward to my next trip! Thankyou!! Hidden away is this amazing place, after getting given vouchers for my 30th I was nervous as I have never had a body massage. The owner is a lovely woman who walked me around her Business to show me what I could use (and to ease my concerns). They offer an amazing variety of packages and help to ensure you get the right treatment for you. Me and my husband came a few days later for a massage and it was amazing (I even fell asleep at one point :) the women who work there are amazing and I left feeing amazing and invigorated. Will definitely be coming back here !! Just spent an amazing afternoon with my daughter at Lavender House. 3 hours of bliss in this gem of a place. If you want to unwind and feel truly pampered I recommend giving Laura and her wonderful team a call. We are looking forward to visiting again in the near future. I had my treatments done today as my birthday present inc back,shoulders and head massage which was so relaxing. Mud bath was ace. Nails and feet massage which was amazing. Staff very nice and place very clean. I will defo will be back again. Well worth visiting. Single,couple or a hen too I am sure you will feel like clouds -so relaxed and light. Thank you to everyone at THE LAVENDER HOUSE! Honestly the best thing ever.. I honestly don't think I have the energy to write this review having only left The Lavender House only one hour ago - I am truly relaxed! 3 friends and I had an afternoon spa today in this lovely grand old house. Staff were friendly and welcoming - the customer service was absolutely perfect!!!! Felt so at ease and cosy - exactly what you need when you go to a spa. Thoroughly enjoyed the steam/sauna room, the massages, facial and Rasul room. Just absolutely perfect - so please stop reading this review and get yourselves booked in! Many thanks. A lovely experience as always..
A lovely experience as always at Lavender House, relaxed in the capable hands of Alaina who gave my hair a good cut, finish and blow dry. Thank you, I'll be back!! I visited the Spa this morning for a reflexology treatment. It was extremely relaxing and therapeutic. It's nice that, as a regular customer, you see the same therapist each time. The after treatment care is great too. A lovely cup of herbal tea and a relax in the post treatment lounge with a warm wheat bag across your shoulders. You are never felt rushed to leave. Fantastic. Thanks. A very big thank you.. I had a lovely couple of hours being pampered, with a variety of treatments that Lavender House has to offer - I was cared for by an apprentice and her expertise and knowledge are a credit to her employers. A very big thank you! Lavender House is a haven of peace and tranquility. It was lovely to be able to leave all the stresses and strains of everyday life at the front door and just enjoy being pampered for a few hours. Everything was lovely and I wholeheartedly recommend it as somewhere to book into for a much needed treat. Easy to find. Parking outside. I was very surprised and delighted at the facilities. The place was lovely. I made a telephone booking for a manicure which was handled professionally and in a very friendly way. The lady on reception was lovely, welcoming, professional and efficient. The lady, (Emily) who did the manicure was very good indeed. It was exactly as a manicure should be. I appreciated the fact that they actually give you time for the manicure to dry so you are not ruining it by delving into handbags or putting jackets on. I was able to have a peek at the other facilities in the building and they looked fabulous! I hadn't realised just how much there was there. It was a really good experience. I will definitely be visiting again, and very soon! I took my mum here for her 60th birthday and it was lovely ...the spa and treatment rooms are beautifully designed not to mention spotlessly clean ...we had a fantastic afternoon and felt we got a lot more than we expected in our spa package ...the manager / owner was lovely as were the therapists and nothing was to much trouble ...a very relaxing experience! ....I'd highly recommend a visit here ...it's lovely! Thoroughly enjoyed the whole experience, the staff were brilliant and everything ran smoothly from one thing to the next, the massages where amazing and we finished the day off nicely with a cream tea. Came out feeling very energised and relaxed. Staff couldn't do enough for us. Would defo come back again! Problems using this booking form? Please click here or call us on 01704 531400.